Update: Sen. Kamala Harris announced on Monday, Jan. 21, she is running for president. First-term California Senator Kamala Harris seems likely to announce her run for president in 2020. So The Stream interviewed pro-life journalist David Daleiden. 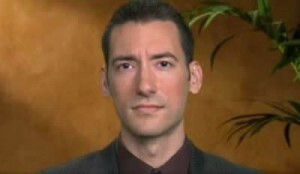 He led the undercover investigation of Planned Parenthood’s sales of human baby parts in California. He is still fighting a criminal prosecution launched by Harris when she was the state Attorney General. Did you follow Senator Kamala Harris’s questioning of Brian Buescher? He’s a Trump appointee to the Federal court. She cited his membership in the Knights of Columbus as if this were the 1950s and he were enrolled in the Communist Party. Does this strike you as chilling? I am a living example of Senator Kamala Harris’ embrace of viewpoint discrimination. And her willingness to weaponize government power against citizens. At least those who disagree with her powerful political backers. For instance, Planned Parenthood. Kamala Harris launched an ongoing, bogus prosecution against me. That was at the behest of Planned Parenthood. It had zero basis in the law or facts. It was grounded solely on my pro-life First Amendment-protected free speech. We saw how Harris wielded her power as California Attorney General. Does her brazen promotion of a religious test for office surprise you? No, it doesn’t. Attorney General Harris praised citizen journalists who filmed undercover to expose animal welfare abuses in California. But her hand-picked executive appointees worked seamlessly with Planned Parenthood officials. The goal? To bake extra layers into the California recording law to try to shield the abortion industry from similar exposure. Kamala Harris failed to recuse herself from colluding with her campaign donors at Planned Parenthood. Local news outlets in California constantly record and publish undercover video from the same kind of restaurant and public accommodations settings that the Center for Medical Progress did. But none of them has had their homes raided. Or their equipment seized by Kamala Harris. Cecile Richards, the recently resigned CEO of Planned Parenthood, even declared it under oath. She admitted that the conversations I filmed in California were not “confidential.” The CA recording law only applies to “confidential communications.” But Harris’s office worked overtime to torture the law and the facts to fit a more favorable narrative for Planned Parenthood. How did Harris, and now her successor Xavier Becerra, try to criminalize journalism? Xavier Becerra is now prosecuting the case Kamala Harris started. He’s charging me and one of CMP’s investigators, Sandra Merritt, with 14 bogus felony counts. That’s under the California recording law. Also one count of conspiracy. Before succeeding Kamala Harris as CA Attorney General, he disparaged the Congressional investigations of Planned Parenthood. This even though they have led to a successful prosecution of two baby parts companies in southern California. And an ongoing U.S. Department of Justice and FBI probe. But he declared his belief in my guilt beforehand. This is the first and only time a citizen journalist has ever been charged with a crime for undercover recording. It’s identical to the kind routinely taped and published by established California news outlets. The California recording law prohibits recording “confidential communications.” That excludes any communications made in a public area where third parties can overhear. Every single recording the AG is charging me with occurred in a public accommodations setting. Third parties could and did overhear the conversations. You can see it on the tapes! Kamala Harris had zero evidence against me even after raiding my home. So she left the mess for Xavier Becerra to deal with. Becerra has no real case except for the smears and talking points authored by Planned Parenthood. I believe too strongly in American ideals to think that Kamala Harris and Xavier Becerra will be able to imprison innocent American citizens for our First Amendment speech. But the fact that, working with Planned Parenthood, they have pulled out all the stops to try to do so? That should concern and outrage every American. How did Harris use the State’s legal power in civil court to suppress your First Amendment right to publish the investigations you’d completed? Planned Parenthood specifically instructed Kamala Harris’ office as to what they wanted. Namely, all of my video recording footage and equipment seized. 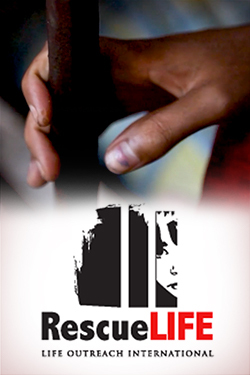 It played out as it had with every aspect of this selective and discriminatory prosecution. Kamala Harris was happy to put the powers of her office at the service of Planned Parenthood. And their wishes to retaliate against the whistleblowers. Kamala Harris has recently suggested that Attorney General-nominee William Barr should recuse himself, if confirmed, from the Russia collusion investigation. That’s on account of some op-eds he wrote. Yet Kamala Harris failed to recuse herself from colluding with her campaign donors at Planned Parenthood to make up a case against a citizen journalist! Not only did she fail to establish any kind of wall of separation between the political part of her office and the law enforcement investigation of me. She directly involved herself in it. She personally met with six Planned Parenthood executives two weeks before the raid on my home. That included multiple witnesses in the sham investigation against me. She discussed at the meeting both Planned Parenthood’s political agenda and the issues in the investigation. We have the documents to prove it. Where does that case stand now? Kamala Harris’ and Planned Parenthood’s bogus case against me will go to Preliminary Hearing in San Francisco Superior Court. It will run from February 19 to March 4. For two weeks, the Attorney General’s office will try to present evidence of “probable cause.” They’ll argue that my recordings of public conversations somehow violated the California video recording law. The Planned Parenthood doctors and executives from the videos will testify live under oath. They’ll be on the witness stand and be cross-examined by my attorneys. Some of the undercover footage will be played. (It has been so far censored by Judge Orrick, the Planned Parenthood-founder federal judge.) The courtroom is open to the public. This will be the first time any of these Planned Parenthood witnesses have spoken publicly since the release of the videos. What Would Kamala Harris Do with Presidential Power? 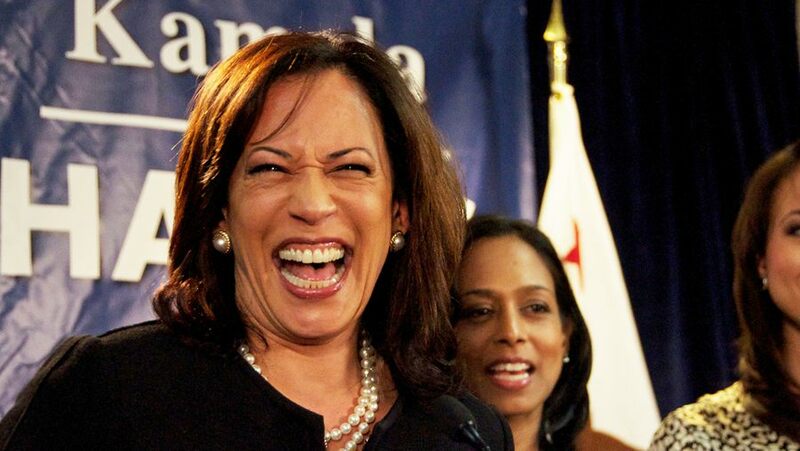 Rumors are swirling that Sen. Harris will announce that she is running for president. What would you say about her religious intolerance? Her willingness to imprison journalists? What presidential powers she might abuse? Will civil libertarians speak up about that? I believe too strongly in American ideals to think that Kamala Harris and Xavier Becerra will be able to imprison innocent American citizens for our First Amendment speech. I grew up in the heart of progressive northern California. And I know many of the children of hippies whom I grew up with are shocked and disturbed at the way Kamala Harris attacked my First Amendment rights. One of my best lawyers is a lifelong Democrat. Good, normal people know that if you disagree with me, your solution is to donate to Planned Parenthood. Not to weaponize the criminal justice system to silence my speech. For Kamala Harris or anybody else to act like viewpoint discrimination is a value in a pluralistic democracy? That just shows how out of touch they are. How much of a joke their campaign to lead a diverse country with unity will be. You’ve been pressing the Trump HHS to refuse to use baby parts from abortions in medical research. Where does that stand now? Whom can Stream readers contact to register their opinion on that? I think the Health and Human Services Department has taken some good concrete first steps to get taxpayer money out of baby body parts trafficking. But now the time has come for them to show real leadership. They must stop setting monthly abortion quotas for government experimentation. And terminate the antiquated and barbaric $100 million fetal experimentation program. Call Secretary Azar. Tell him you don’t want your tax dollars used to harvest and experiment on body parts from elective abortions. Or to subsidize Planned Parenthood’s criminal abortion empire in any way. Xavier Becerra, Harris’ successor, has continued the state’s criminal prosecution and civil censorship efforts against you. What did you think when the (Jesuit) University of San Francisco gave him an honorary degree? And hosted him as commencement speaker in 2017? What possible reason would Catholic institutions have to honor someone like him? Do other issues trump protecting innocent life and freedom of the press? It’s no secret at this point that the establishment, institutional Catholic Church in its human element in America is in free fall right now. They have zero credibility right now across the board. But something beautiful, holy, and loving will rise in its place. I don’t talk about this a lot. But as a (predictably bad) Catholic I try not to focus on it too much. Instead I just look to my incredible local parishes. And to the priests who are the ones, day-to-day, who can help me have the relationship with Our Lord Jesus Christ and Our Lady the Blessed Virgin Mary that I need anyway. How can Stream readers help? Please continue to talk about these issues. Please continue to share the videos! Learn more about The Center for Medical Progress and our legal defense at our website.